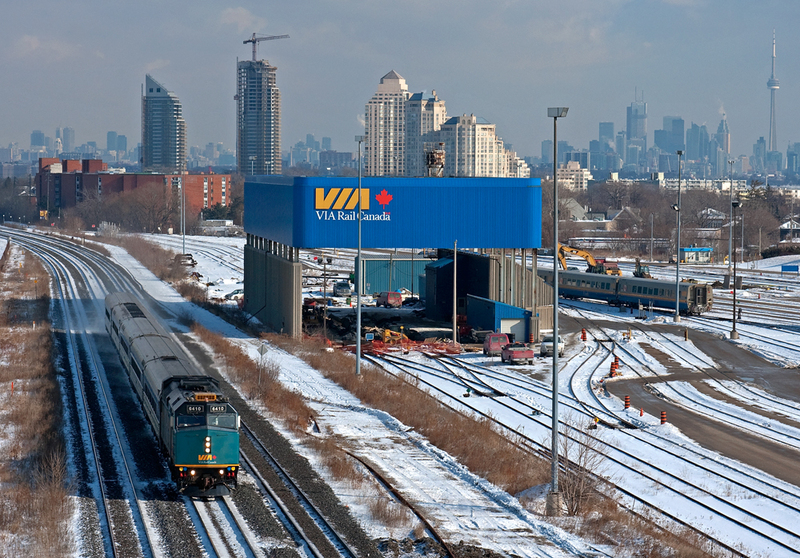 Railpictures.ca - Michael Da Costa Photo: CN P07331 14 with a CAD rebuild blast through Mimico on it\’s way to Windsor with the Toronto skyline looming in the top right. | Railpictures.ca – Canadian Railway Photography – photographie ferroviaire Canadienne. Caption: CN P07331 14 with a CAD rebuild blast through Mimico on it's way to Windsor with the Toronto skyline looming in the top right.